Eco Easy | About Eco Easy Home app and history of the rating system. Eco Easy® isn’t new. 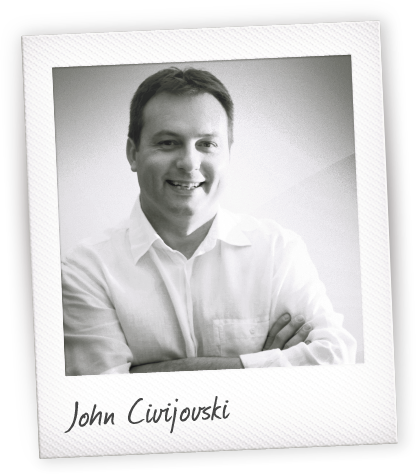 John Civijovski began this journey some 10 years ago. After working with renowned solar architect Gareth Cole, John felt that everyone should have the opportunity to live in a home that made the most of its environment. The challenge was to find easy ways to do it, things the average person could do, whether they owned their own home or were renting. John decided that the best test of something was to do it yourself, so he put all his thoughts and ideas into practice when he bought his first home. Click here to learn more from his experience. John has worked in many areas of the building industry, starting as a structural draftsperson then moving into sales and development of building products. He has worked with major building product manufacturers and gained experience by working with new products as they entered the market. John first met Gareth Cole in 1992 while working with CSR Hebel, providing products for Gareth Cole’s energy efficient homes. Through this association, John realised that most people in the industry were building incorrectly. The lessons learnt from Gareth's style of eco architecture really hit home when John owner-built his parents’ home and saw how it could have been improved. That passion has grown as John has sought to help as many people as possible make their homes more comfortable and eco friendly. Gareth Cole, BArch (Hons), FAIA, is an eco architect and international public speaker on eco smart design. His practice, The Ecologie Group Architects, specialises in passive solar design, solar systems, energy efficiency and sustainability. He has spent more than 30 years practising as an architect focused on ecologically sustainable design and energy efficiency. Gareth has received a number of scholarships for solar research and has authored several books on passive solar design. He has also produced three documentaries on energy efficient design. He has won the MBA Energy Efficiency Award 12 times, the HIA Award for Energy Efficient Homes 16 times, as well as the JJ Greenland Prize and the Silver and Gold medals from the Francis Greenway Society, and a National Energy Management Award from the Federal Government. Gareth sat as the chair of the AIA NSW ESD for two years and is a qualified member of the Association of Building Sustainability Assessors. 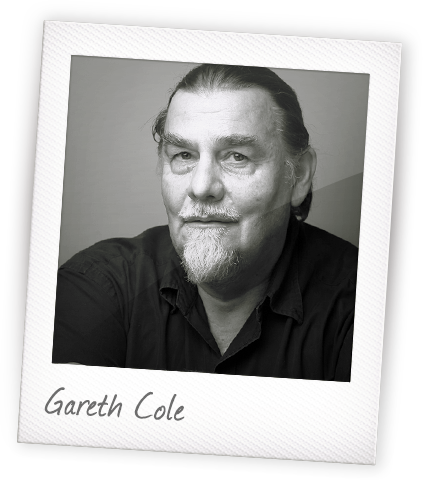 Click here to learn more about Gareth and the Ecologie Group. In 1988 Gareth was approached by Concord council to help prepare a program for sustainability. Working with a senior planner at the council Gareth was asked to develop a program that would assist the energy performance and at the same time indicate the extra cost of making any changes to a building. Gareth approached his friend Holgar Willraith an eminent physicist to assist and with some basic computer skills they developed a program call DTAP (domestic thermal assist program). The program was done simply and in a basic form. It used cost of products along with thermal performance to give a score of between 0-100 in performance. It was a paper-based program with some computer work behind it. The program was used by the council in an educational way for owners and builders and was not mandatory. Both Gareth and Holger saw the benefit of the program and felt that there were ways to refine it. Holger decided to develop a computer based program, now called BERS (building energy rating scheme) and it is part of the mandatory assessment process with councils all around Australia. In the meantime Gareth was asked by Ku-ring-gai council in association with Australian Institute of Building Surveyors to develop a paper based form that would provide a system for council to assess the eco sustainability of home. Ian Glendinning, of Ku-ring-gai Council, worked with Gareth to develop not only a score system but also a policy. Ku-ring-gai council adopted the policy and the program called Solecta and the policy won a National energy management award in 1995. Many councils in Sydney used the program, along with educational seminars, to show people and council staff how to use the program. In 1996 Gareth and his team were engaged to help develop a method of assessing commercial and multi unit housing for the Pyrmont Development Corporation. This program was developed from the Solecta program with Rod Simpson and Harry Partridge into a program called ESDAM (Ecological Sustainable Development Assessment Method) and was used to assess the water, power energy, solar, transport and embodied energy of a building. The program was successful and was eventually used to assist the architects working on the Sydney Olympics. The program was part of an educational program to assess Olympic buildings. At this time Gareth and friend John Civijovski discussed the potential of going back to a simple system to help people qualify the performance of their home and assess it’s eco needs. Eco Easy website started in 2001 – 2002 to assist people with assessing the eco needs of their homes and providing products and services to make their homes more energy efficient and comfortable. It was still early days back then and John parked the website until now. © 2011 Civi Corp Pty Limited ABN 56 093 539 201. All rights reserved. ecoeasy.com is a division of Civi Corp. Eco Easy® and Eco Easy Home® are registered trademarks of Civi Corp Pty Limited.